New Swift Sport looks just as hot on the inside as it does on the road. You’ll realise from the moment you press the keyless ‘start’ button that this is an immersive, interactive driving environment where you’re always in complete control. 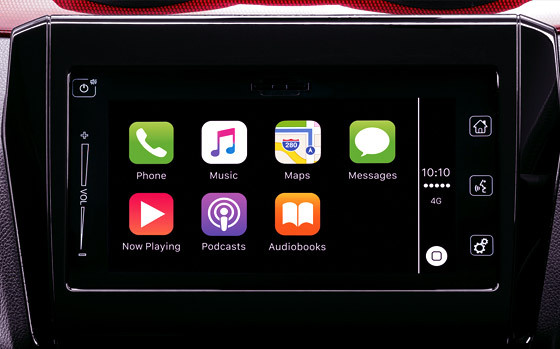 Multimedia Sat Nav with Apple CarPlay® and Android Auto™ put knowledge, entertainment and convenience at your fingertips. The choice of a 6-speed auto or 6-speed manual transmission puts power and precision in your hands. *ADR 81/02 results. 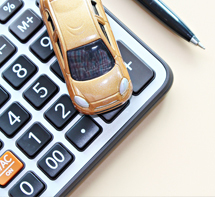 NEDC Fuel Consumption figures may not match real-life driving conditions and should be considered for comparison against other vehicles only. 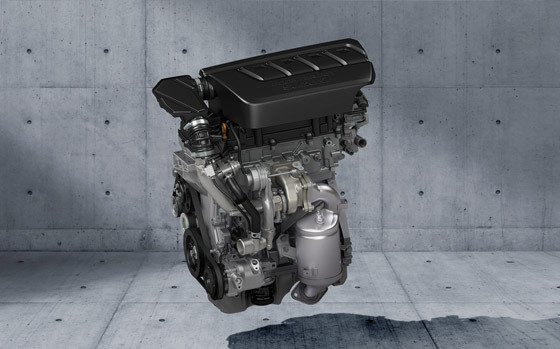 A completely overhauled powertrain has been fashioned out of the new generation Suzuki “HEARTECT” platform. This lighter, more rigid, curved frame unleashes energy more efficiently while simultaneously enhancing your safety in a collision. 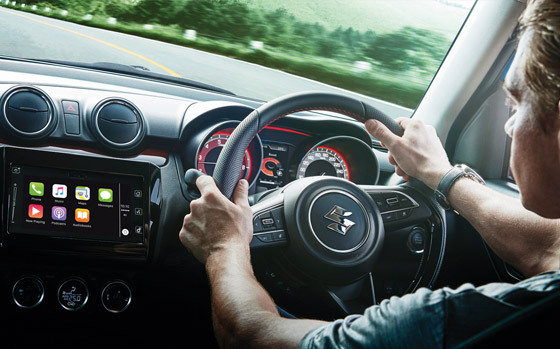 Steering control has been improved at any speed while the refined suspension combines greater stability, optimised roll rigidity, and more sensitive road-to-driver feedback. 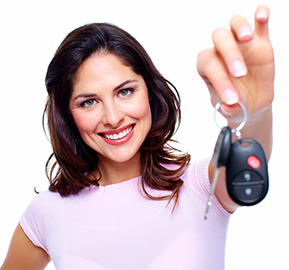 The braking system has also been updated to handle the considerable extra power and speed at your disposal. Whether you’re taking a sweeping bend or zipping down a city lane, you’ll find Swift Sport does exactly what you want, when you want it to. 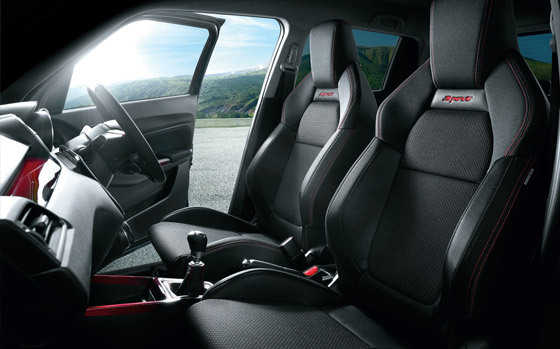 All-new Swift Sport combines driving excitement with passenger comfort. Semi-bucket shape front seats with red stitching and an embossed “Sport” logo are designed to provide ample lateral support, while precision-crafted, high-quality textures and materials add refinement throughout. 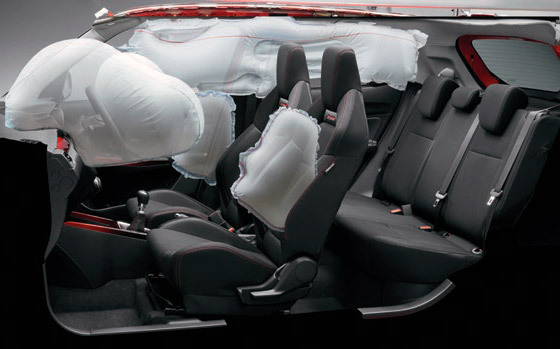 60:40 rear seat configurability, a deceptively tall luggage area and cleverly designed storage spaces optimise cabin proportions, so there’s always plenty of room to move. 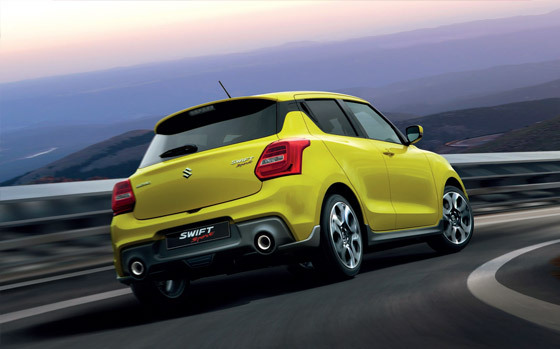 Load it up and feel the exhilaration of the new Swift Sport. 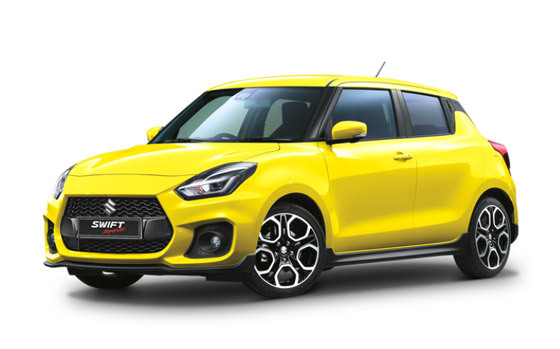 New Swift Sport comes with the latest safety features including 6 airbags and ESC (Electronic Stability Control), as well as advanced preventative safety features such as an Advanced Forward Detection System — which includes Autonomous Emergency Braking (AEB), Lane Departure Warning, Weaving Alert, High Beam Assist and Adaptive Cruise Control.